Homepage » Environment » Lost in Light: Can You See the Stars? The night sky is a magnificent sight. For me, there is nothing quite so humbling as gazing up at the seemingly infinite sparkles and realising just how small we are in comparison to the grand expanse of the universe. 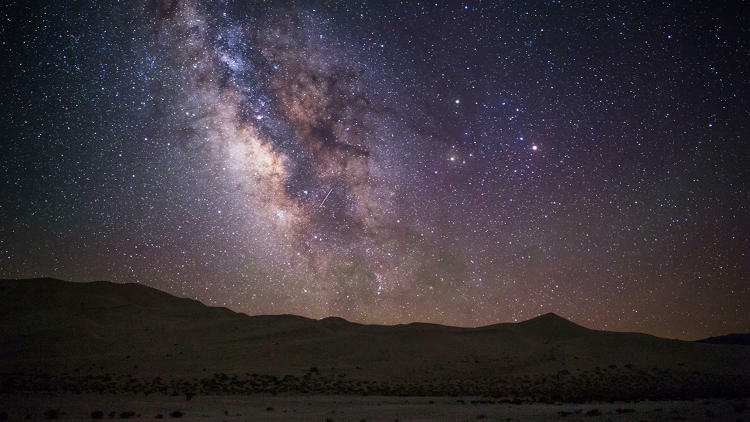 According to Dark Site Finder, there is no light pollution here at all, thus the night sky is revealed in all its magical glory. There are just 65 sites like this spread over 6 continents, and the video you’re about to see has been created to encourage the world to protect and preserve them for generations to come. “We always think of the great minds that gazed up at the night sky, that were inspired by it. I don’t want future generations to lose this touch, this connection, this identity,” says Sriram Murali. While you may feel a little cheated the next time you look up at the sky and see only a sprinkling of stars shining back at you, please take reassurance in the knowledge that the darkest sites are dark for a reason – for the most part uninhabited, very few of us are fortunate enough to witness skies similar to those captured by Murali on a nightly basis. The view from my window may not be as impressive as some of those shown above, but it is something I will never take for granted. And neither should you. All images courtesy of Sriram Murali. You can see more on Instagram.